Handsome black, 6-panel, 100% cotton twill, 8 oz. cap with two front sewn eyelets, 6-stitch bill, and cloth side closure. 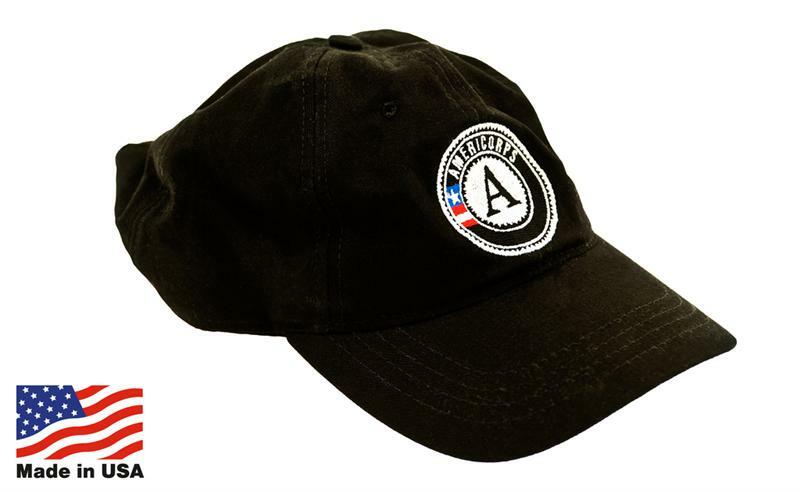 On the front is the embroidered 2 ¼” AmeriCorps logo. One size fits all. Of course it is Made in USA!